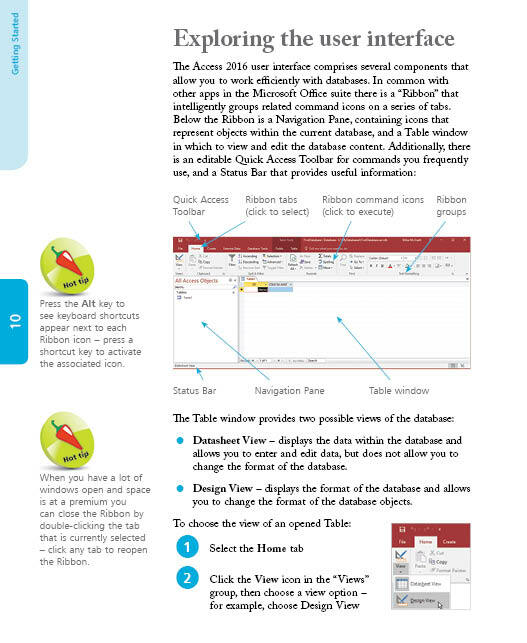 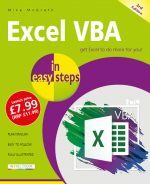 Demonstrates the important functions of Access 2016, so you can get started quickly. 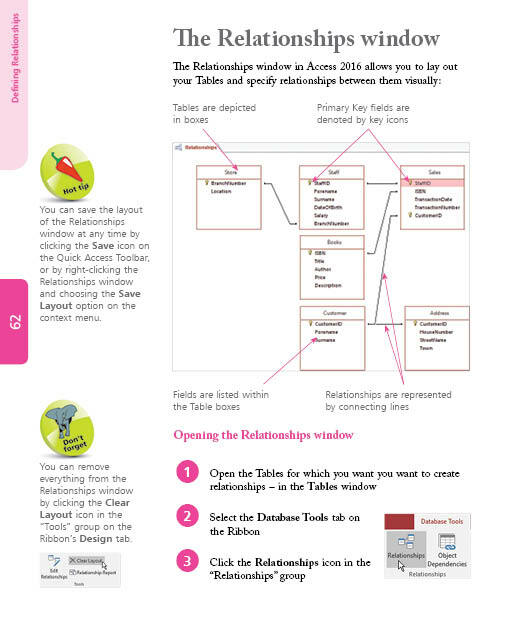 Sharing your database to impress your colleagues! 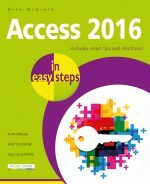 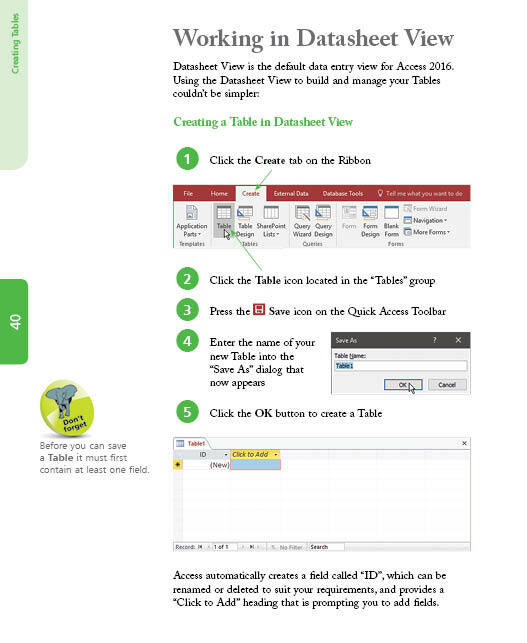 Whether you’re upgrading to Access 2016 or new to the database concept, use this guide to learn the key features constructively and get more out of Access 2016 – in easy steps!